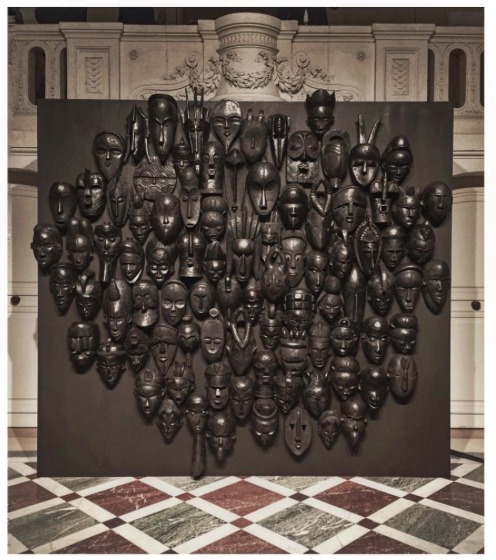 I think the record for an African tribal art work at auction is $12 million—that is the pinnacle. You can still get masterpieces depending on the type of object. 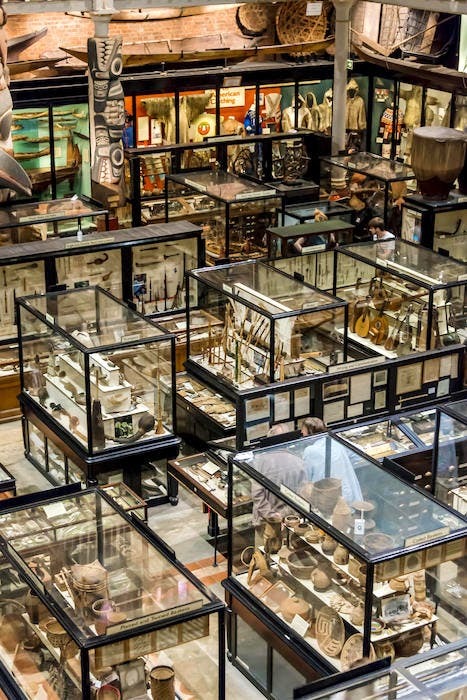 And there are incredible objects that can be bought for under $100,000. 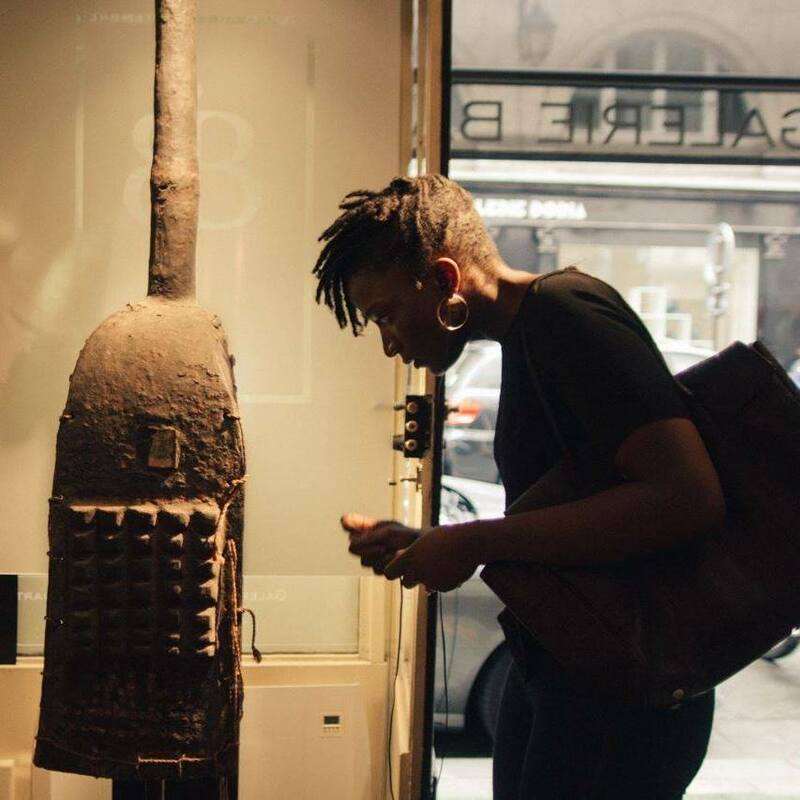 Recently, Christie’s in Paris sold a really iconic Dogon mask with a figure on top that was in all the important museum shows for $2,5 million. It’s a chunk of change, but if you compare it to contemporary artists where we don’t even know if they’re going to be around in 20 years, then it’s not that much. 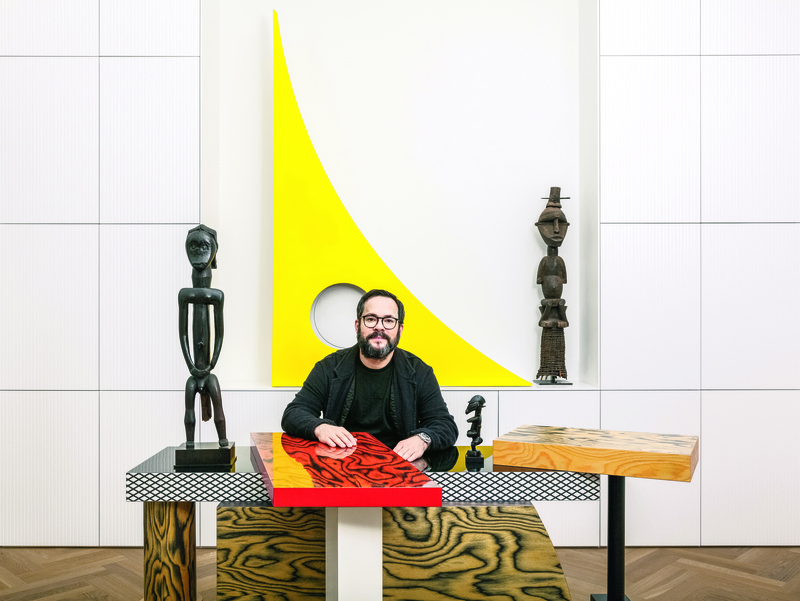 So relatively speaking, the high end is in the low millions—maybe between $1-6 million—whilst in the modern and contemporary market, an edition by Koons can cost more. I couldn’t have said it better. 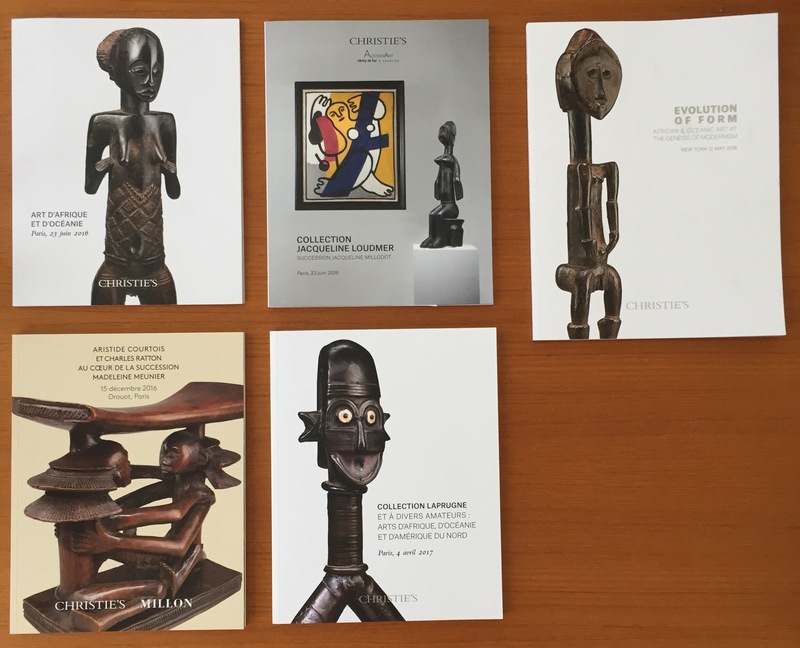 And that’s why we are so proud of our upcoming sale, bringing together a selective group of top notch African art – below two teaser installation views of the preview. 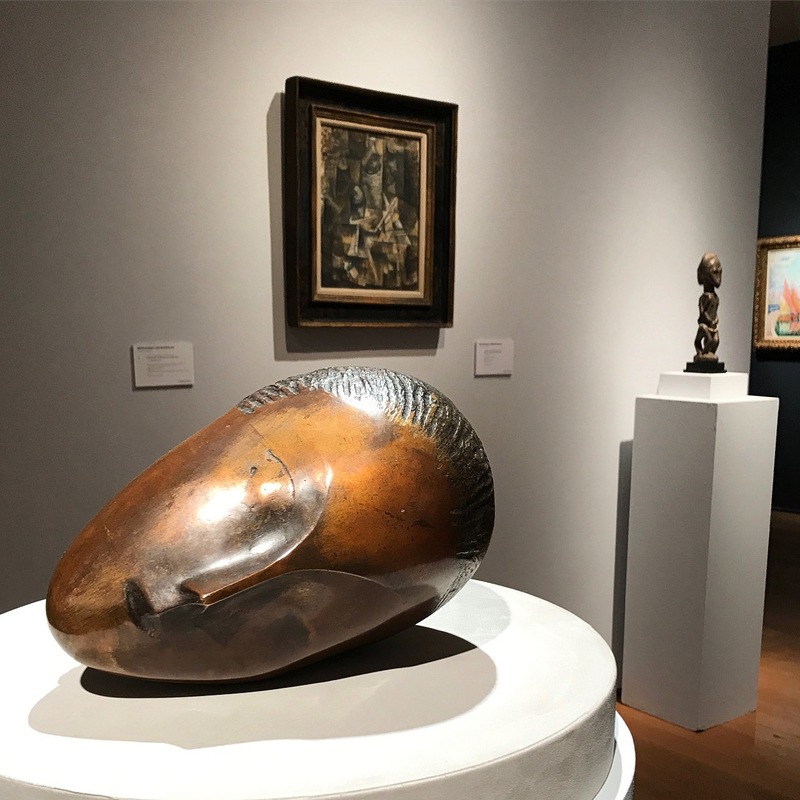 As you can see, African art does get its rightful place at Christie’s (amidst works of Brancusi, Braque and Basquiat). This entry was posted in News, Opinions on May 8, 2017 by admin. This entry was posted in Opinions on March 19, 2017 by admin. The best movie I’ve seen this year, “Embrace of The Serpent” tells about the ravages of colonialism in the Colombian Amazon through the story of two explorers. 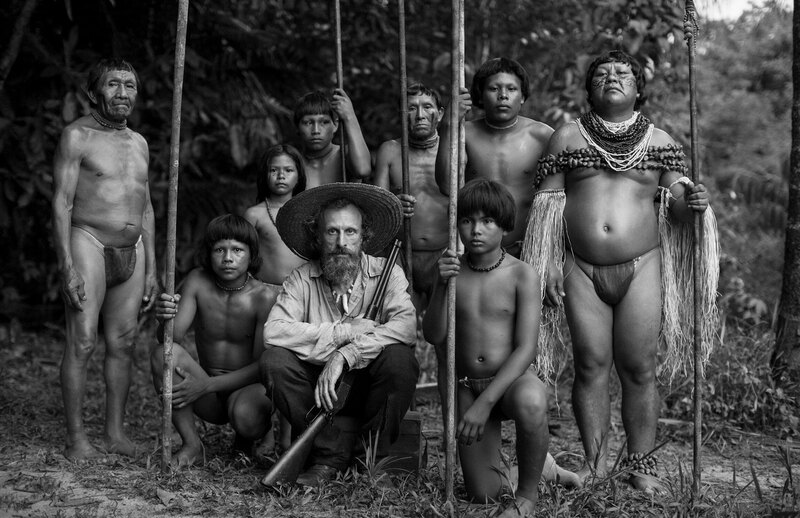 Filmed in black-and-white, the film centers on Karamakate, an Amazonian shaman and the last survivor of his people, and the two scientists who, over the course of 40 years, build a friendship with him. The film was inspired by the real-life journals of two explorers (Theodor Koch-Grünberg and Richard Evans Schultes) who traveled through the Colombian Amazon during the last century in search of the sacred and difficult-to-find psychedelic Yakruna plant. It’s a different continent than the one this blog is about, but still succeeds in giving a glimpse of how it must have been in the early days of colonialism in remote areas like the Amazon. For a great interview with its director Ciro Guerro, click here. ps another movie on my to-see list is “Tanna”, the first feature film shot entirely in Vanuatu, taking place in the South Pacific island of its title. It was written in close collaboration with the Yakel, performed predominantly by its members, and supposedly tells a great love story from their recent past. This entry was posted in News, Opinions on September 4, 2016 by admin. 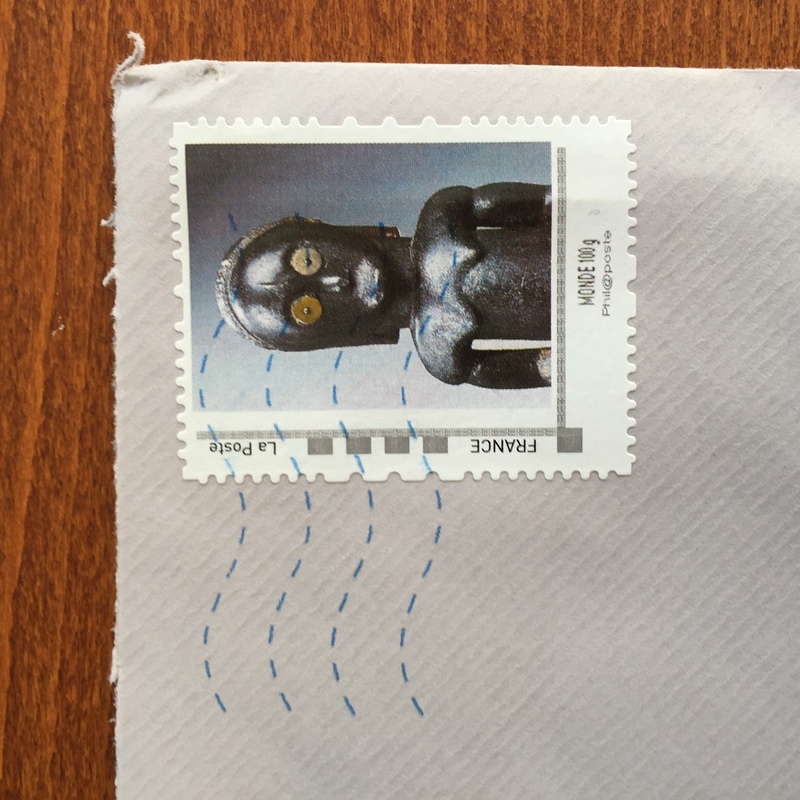 I’m surely not the only collector who long ago started with postage stamps. 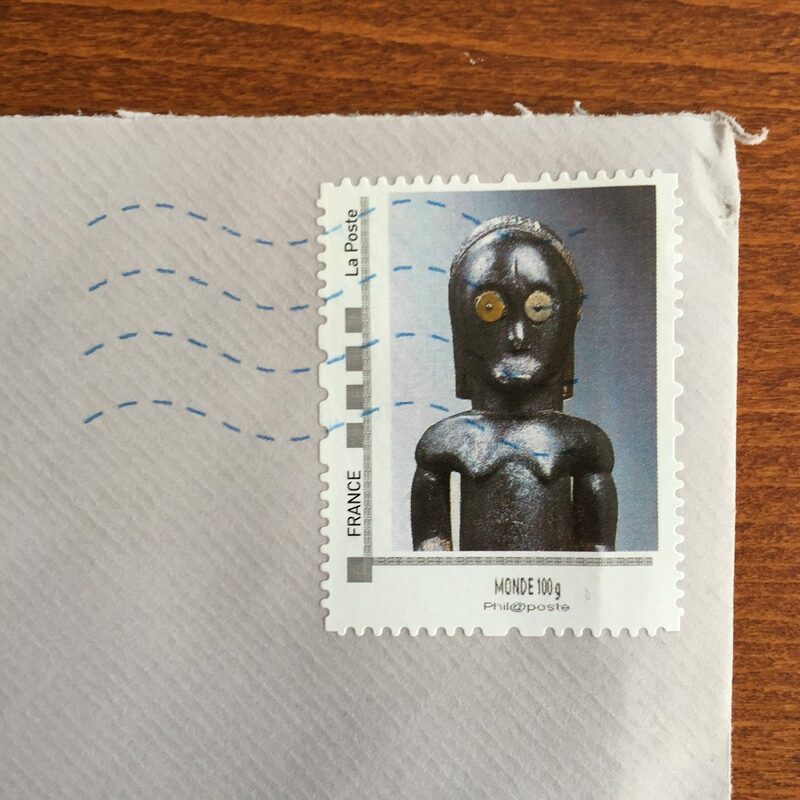 So whenever I get mail, I still pay attention to the stamp. The above example with a nice Fang figure graced Lucas Ratton’s invitation for Parcours des Mondes. Kudos to him for coming up with this great idea. 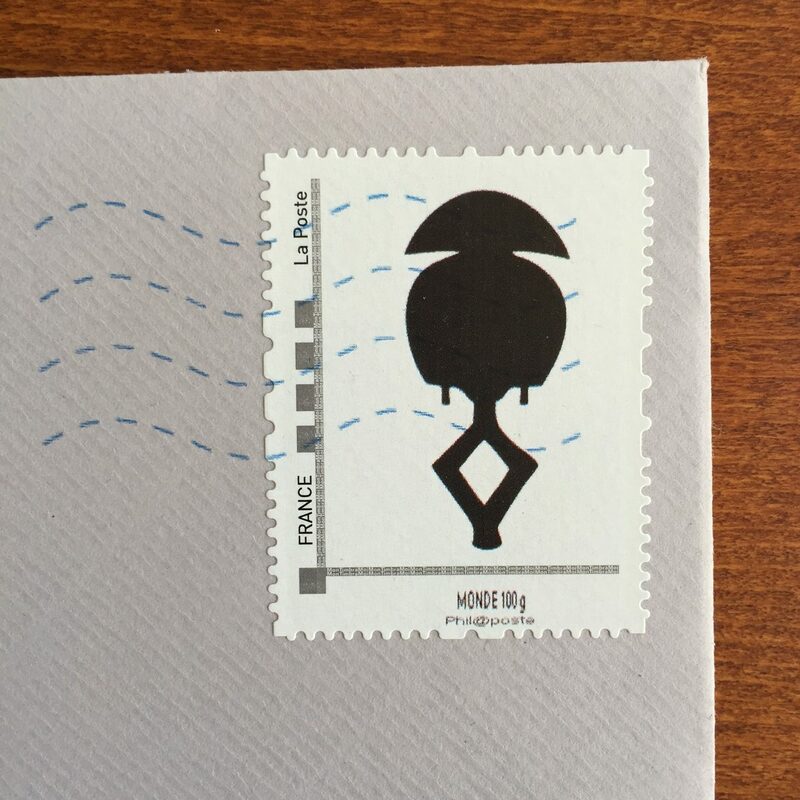 Last year, Ratton already had made a Kota stamp – which was also very clever, see below. This entry was posted in Opinions on August 24, 2016 by admin. The above ‘wall of masks’ was on view in Paris last week at Maison Valentino’s spring 2016 show – spectacular as it may be, these masks unfortunately are all fake, but maybe not so unfortunate since they were all painted black anyhow. The Valentino fashion show received a lot of negative comments because of its embarrassing cultural appropriation and stereotype ideas of African fashion. The African-inspired collection (the continent of Africa is a pretty big and diverse place to seek inspiration from as a whole btw) included raffia, feathers, studding, bone necklaces and bracelets, Kente cloth and much embroidery, fringing and embellishment whilst the show was soundtracked to the beat of the bongo drum. Valentino’s show notes said the “primitive…spiritual, yet regal” collection was inspired by “wild, tribal Africa“, and that it was a “journey to the beginning of time and the essential of primitive nature“. 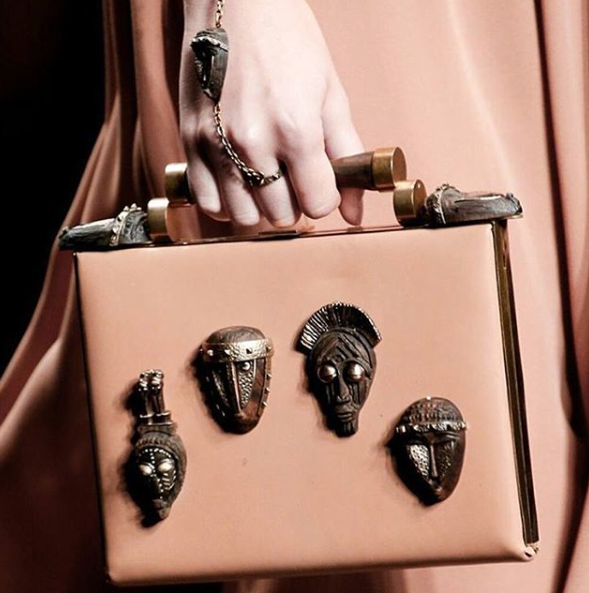 Add in handbags affixed with miniature masks (see below) and safari prints and you’re crossing the line between appreciation and appropriation. Valentino, as the show notes indicate, wanted to represent Africa “as vibrant, as throbbing, as imperfect purity“. Very cringeworthy if you ask me, especially since it is 2015. Read more about the controversy here, and about others misuses of African designs by the fashion industry here. This entry was posted in News, Opinions on October 12, 2015 by admin. Sad tidings from Paris. 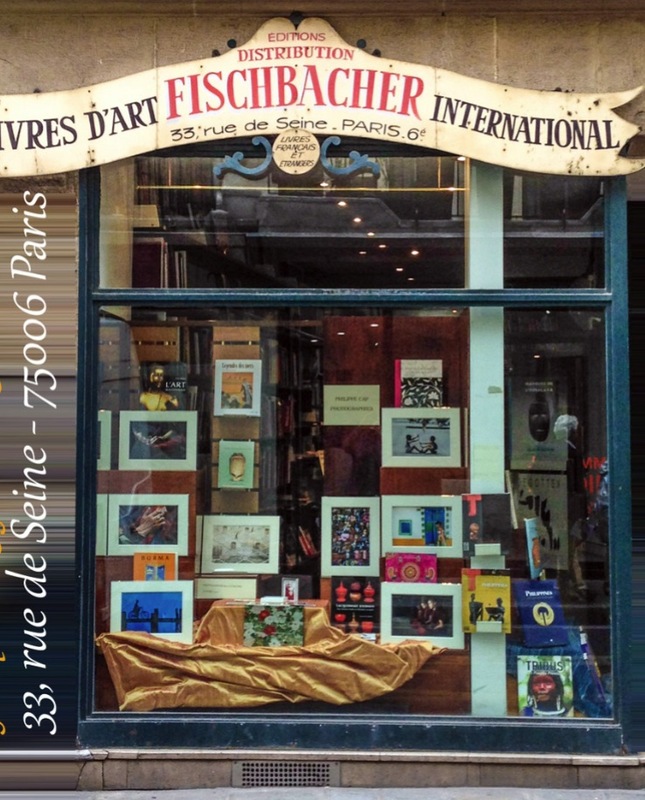 Last week the famed bookstore Librairie Fischbacher closed its doors after having sold art books for more than 100 years. The closure will leave a big hole in the St-Germain des Près quarter. For such a bookstore to close it doors, smack in the middle in one of Europe’s busiest art districts, makes one afraid about the future of specialized book stores.. in Paris only one selling African art books is left: Librairie Mazarine – as for Belgium only Vasco & Co. Books on the Sablon remains. Much more than a bookstore, places like this are important meeting spots for the African art community. I always joke that Vasco is like a kind of neutral zone, the Switzerland of the Sablon. How many chance meetings and conversations would already have taken place there? Internet of course is mainly to blame for the decline in bookstores. In 2015, books are just one click away and conveniently delivered at your doorstep. Web stores such as Amazon nonetheless have a disadvantage, as they only have recent publications for sale. Once you start looking for older, out-of-print books, these sites are not very helpful. If you are interested in something particular as African art, real-life independent book stores still have the largest, unrivaled inventory of specialized books. People often complain that many of the old books are expensive (perhaps regretting not having bought them when they came out), but at least they are available and you can freely come browse them to decide if you want to purchase them. There’s a big difference between browsing books in an online store, or browsing the shelves in the actual world..
Speciality booksellers being close to extinction, expanding online and converting to a web-based business model is keeping the last ones alive, but the closure of Fischbacher tells us we’re close to reaching the tipping point. The commerce of selling books is obviously going through a lot of changes, and the only way to respond to them is to go online too. A clever initiative of Vasco & Co. is their frequently send newsletter which brings you up to date of new arrivals and old stock now made available online – do subscribe if you haven’t already. And support your local bookstores – or we’ll only realize how important they are when they are all gone.. This entry was posted in News, Opinions on October 2, 2015 by admin. I love this postcard. 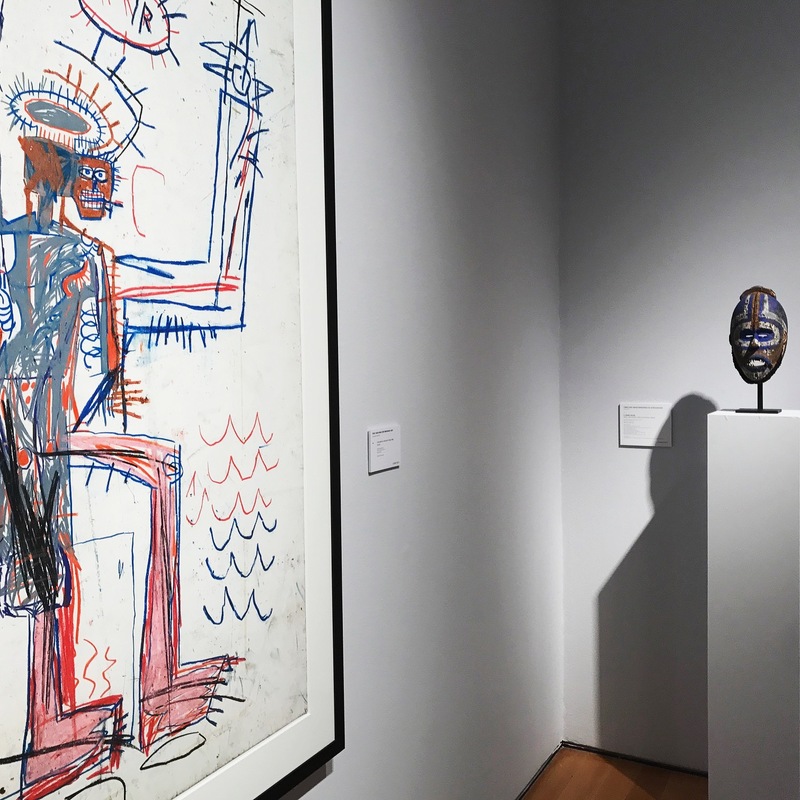 It’s called “La maladie noire” – which freely translates to “The craze for African art”. It is a drawing by Albert Guillaume – I don’t know if he’s related to the famous Paul Guillaume. Looking at the dresses of the women I would say it’s from the 1920s. That the scene is taking place in Paris we know from the title “Salon de Paris”. Central in the scene is a wooden female figure from the Baule (Ivory Coast). On its right we see it’s owner, cigar in the mouth, hands in his pockets, he’s pleased to show off his new acquisition, but his mind is already somewhere else. On his left, his wife rests one hand on his shoulder, while supporting her head with the other; “Mon dieux, what do I have to do with this black goddess in my house?” you see her thinking. Her friends, sitting down, are as mystified about the presence of this enigmatic, yet voluptuous sculpture central in the salon. Most left, an art-critic (or a merchant?) raises his hands, awe-struck by this exotic beauty and praising the eye of the collector. On the right, behind the owner, we find two fellow-collectors. 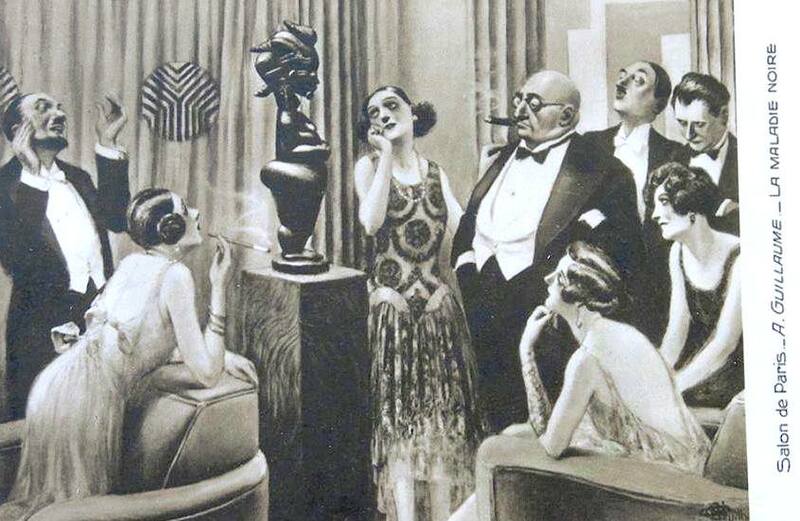 The first, chin up, clearly is convinced that this statue is inferior to the one he has in his own collection; while the man most right has a rather mean posture – with hate observing this craze for African art that is taking place all around him in the Parisian art circles. In other words, most likely a perfect rendering of what was happening in the salons those days – and sometimes still is..
UPDATE: a reader was so kind to send me a link with more information about Albert Guillaume, find it here. UPDATE 2: in the meantime, I was able to localize the Baule statue, identified 3 of the featured persons and discovered what that round object in the background is – read all about it here. This entry was posted in Discoveries, Opinions and tagged Baule on June 16, 2015 by admin.